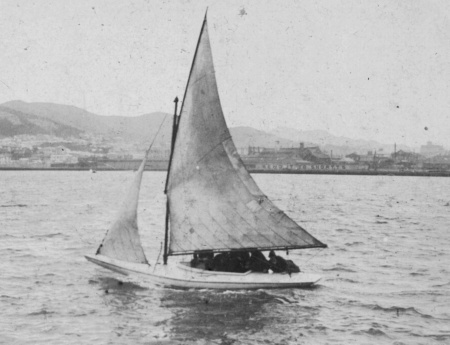 The creation of one of Wellington's great rivalries of the 1890s and early 1900s began with a bet between two young members of the Arawa Sailing Club in February 1897, Fred Petherick and William (Billy) Moore: they would each build a 2 1/2 rater and see who built the better one. Local boatbuilder and designer Bruce Askew says the bet took place over a beer at the Clyde Quay hotel. Terms were that neither would see the the other's progress, and that the better boat would be proved over a series of three races, with a stake of five pounds. 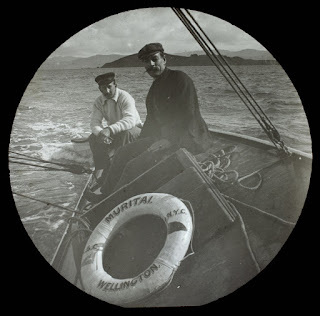 Both men were active in the Arawa Sailing Club, competing in the 14 foot division, and crewed at various times on the 1/2 raters Miru, Ruru and Vixen. They were no doubt inspired by the lightning visit of the well-named Logan-built Gloriana which had visited in January 1894, and the intense rivalry of the class then in Auckland. 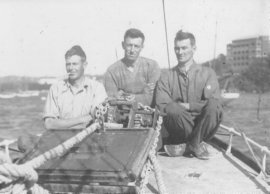 Measuring around an easily handled 35 feet, a fast, light 2 1/2 rater capable of crossing the Cook straight for holidays would have been the next logical step for young men in their early 20s (Petherick was then 21 and Moore about 24 years old). Mawhiti on the street after removal from her shed. Getting to the water proved an adventure for both vessels, the draft horses bolting down Tarakanki Street with Kotiri in tow out of control. When her time came in November 1898, Mawhiti wouldn't fit through the door of the hired shed in which she was built. The landlord refused to remove the doors, so an overnigh raid with saws and plenty of tackle saw the wall cut away, the vessel put on the street, and the wall put back before anyone was the wiser! 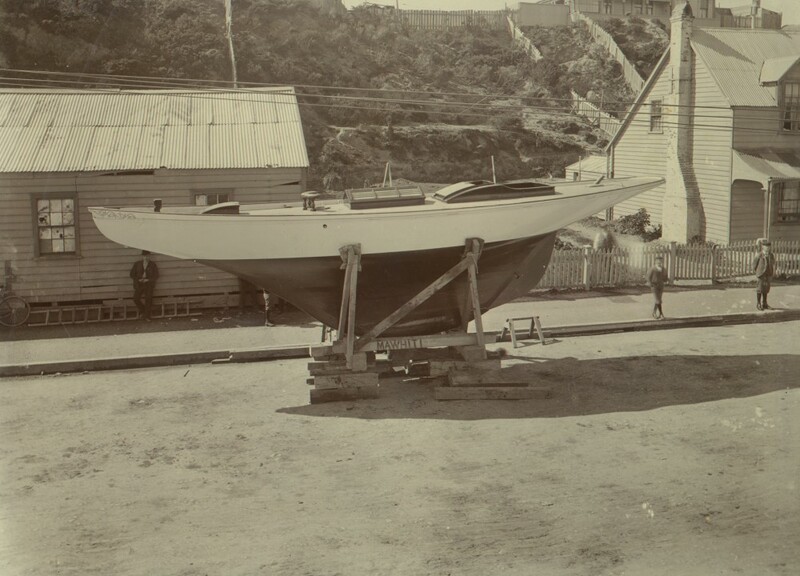 The Kotiri was first to hit the water in January 1898, The bottle broken on her bow by Nellie Petherick. She just made the Anniversay regatta, but not being tuned up, got nowhere. The mast bent in an alarming manner, and a new (second hand) one was taken from the recently dismantled Isca (and old campaigner wracked beyond repair in a heroic victory against the crack Rona), which was also the source for the majority of sails and hardware for Kotiri. Slightly unusual for the time, Kotiri used lugs and track for the luff of the main, rather than hoops. From the start, Kotiri fair jumped to weather, but was nigh-on impossible to control downwind, requiring up to three men on the tiller to keep her direction. By the beginning of 1899, she had the heel of the rudder removed, and a lead fin added to the stern post. This had the effect of lengthening the keel by four feet, improved windward performance even more, and made her a behave better off the wind. Kotiri showing off her full quarters, rigged as a yawl. Taken during a ladies's race. 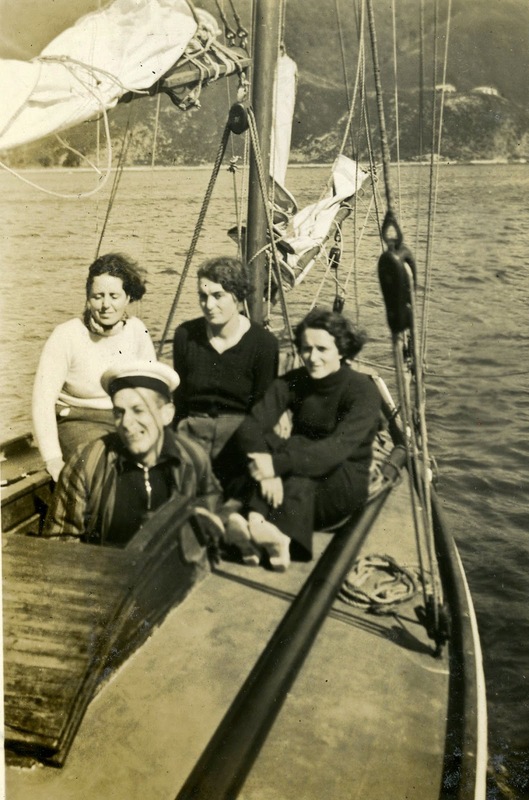 Probably Nellie Petherick at the helm, with another woman in the cockpit. The clash between Mawhiti and Kotiri, considered, though not, sister ships, was anticipated with excitement, and much speculation was entertained in the newspapers. Kotiri was painted black, and Mawhiti white to help spectators identify them. "Several boats changed hands during the winter, and a few have been pulled about a bit to suit the various owners. For instance Messers. Penty and Co. bought Ariel from Messes. Shennan and Co. for the sake of the lead keel. They sold the hull to Mr. Freyberg, while the sails went to someone else. Mr Freyberg must get some lead for the keel, so he in turn purchased the Haeata, dismantled her, and shifted the lead to the Ariel. Haeata has since been sold, and no doubt the new owner is looking for lead for her keel in his turn." As yet, no record is known of a settling of the bet in a one-on-one series, and it may never have occurred. However the two boats continued to be associated in the minds of the yachting and wider community. They oten went in company on cruises to the Marlborough Sounds. 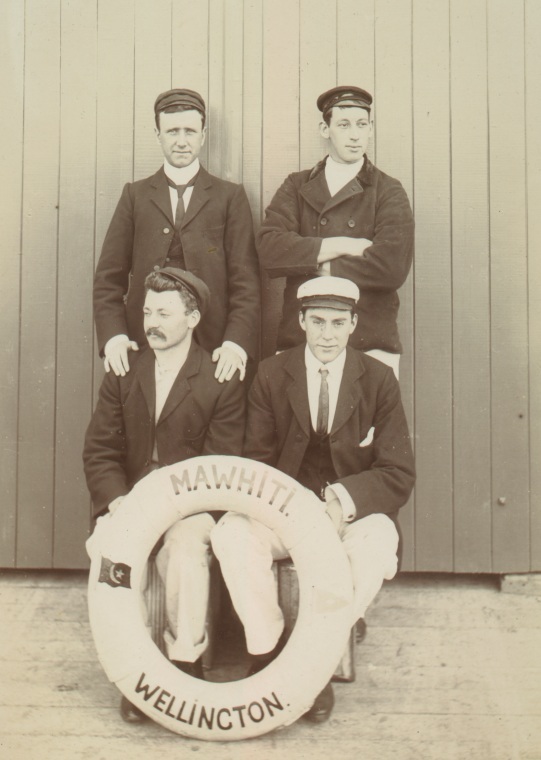 A log of a cruise the Mawhiti made in 1900 was printed and can be read here. 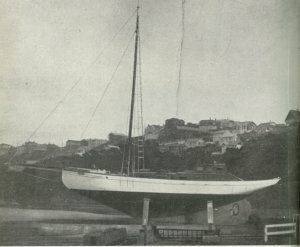 The Fell family purchased Mawhiti in 1902 and removed her to Picton, part of the general exodus of yachts at that time. With the heat leaving racing in the first years of the 20th century, Kotiri underwent the first of many tweaks. She was converted to a yawl, the lead fin removed and the rudder continued to the bottom of the keel. This curbed her speed, but made her more easily handled in cruising. 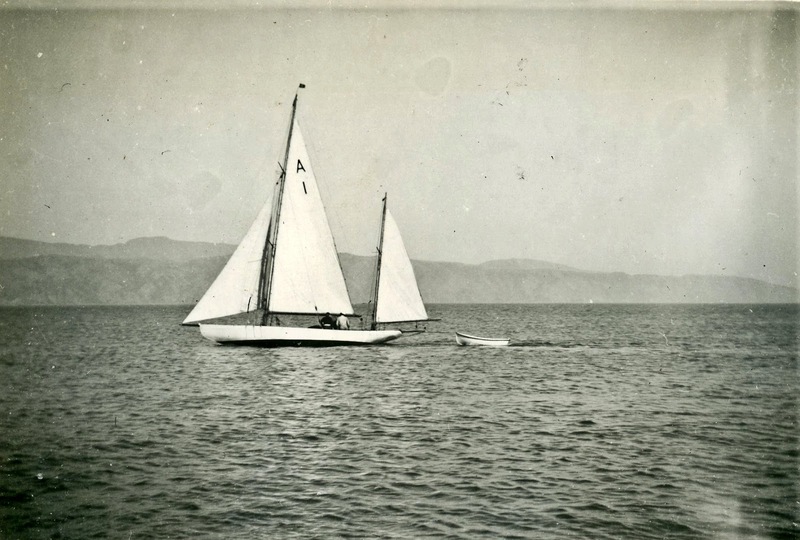 She got her first suit of new sails in 1904. The first two races were taken out by Kotiri, making a dead rubber of the third. Pressure was put on by Clarke and Freyberg to extend the series to five races. Kotiri accepted and was soundly beaten in light airs. Acrimony and accusations began to fly about using larger sail areas than agreed (Mawhiti had borrowed sails from Iorangi for the race) and a rather bold challenge from Kotiri - 100 pounds on a single race with no restrictions to gear, was published in the Evening Post. Nothing further came of this, and the challenge fizzled out. Berkeley Clarke had other things on his mind, and had perhaps been talked into the challenge by other parties. He was planning a move to Sydney, and obviously thought enough of his purchase to take Mawhiti with him in 1907. (But not to bring her back - upon his return to Wellington he purchased the mighty Marangi, which is still making impressive passages). Mawhiti, though she rarely beat Kotiri across the line, was nevertheless felt to be the sweeter boat, in both looks and handling. She was obviously a better performer in "Full sail" conditions, which Wellington does not often supply. She had a fine career in Sydney. In fact both boats were performers well into the 1950s. Information on Mawhiti subsequent to her move to Sydney, and more photos, can be On Malcolm Moore's website here (many of the photos here are from his website). 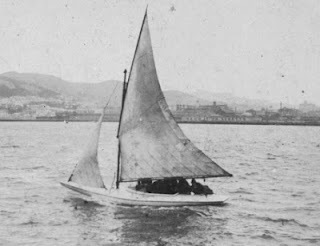 Kotiri raced with the Cruising clubs until about 1914 when she was laid up and largely forgotten about until the early 1920s, When Tom Petherick and his son raced her with the Port Nicholson Yacht Club until his son's death in1929 . She was again left on the hard until 1937, when the three brothers decided to break her up. They were talked out of it, and she was stripped back refinished, rerigged with bermuda sails, and the use of her given to some young men who appear to have made a great life of it. The images of her below show her in action in 1937 or 38. She continued to race in the first class after WWII. It is thought she was sold to an American owner and taken overseas some time in the mid 1950s. ﻿﻿﻿﻿The Arawa Sailing Club was set up in 1893 for racing of small open boats and centreboarders. It has been credited as being the first club in the country dedicated solely to small boat racing. Design by William Fife of a half-rater drawn at the order of Alexander Turnbull of Wellington to be built by Robert Logan of Auckland. Miru and Ruru were built to this design and launched in 1895. 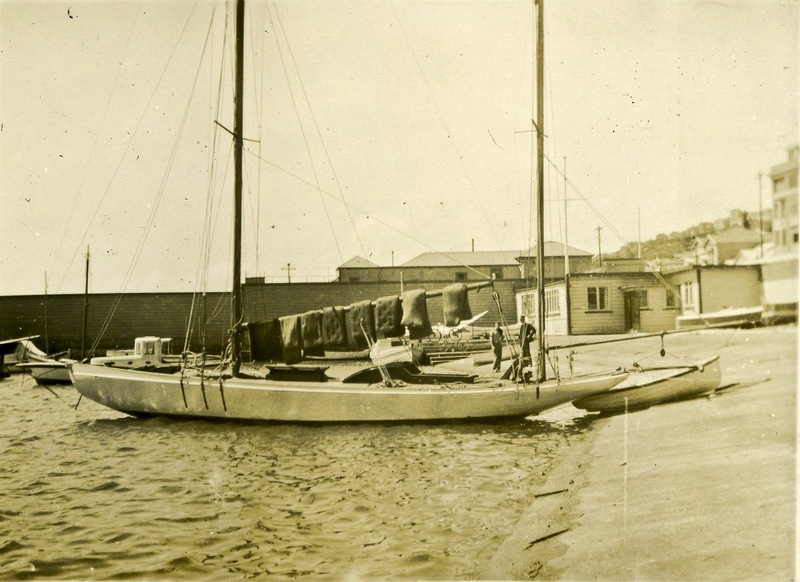 The Arawa Sailing Club was founded at a meeting 09 February 1893. It was solely for the benefit of open and half- decked boats. Unfortunately club papers appear no longer to exist, and the story has to be pieced together from newspaper reports of the the day. Initially there was great diversity in the fleet, with performers built by professionals Like Bringans and Hogg, Silk and Penty, and Jack Chalmers; gifted amateurs like the Highet brothers; and anything keen youths could get hold of. A handicapping system was organised for the entire fleet, and in 1894 sail numbers were allotted. An interesting activity of the Arawa sailing Cub was competitive man overboard rescue drills. These took place several times per year during the open days, anniversary regattas, and other special occasions. A dummy was tossed overboard and the pick-up was timed. This was an innovative notion, designed to increase the safety aspect of dinghy sailing. In an era of no life jackets and a surprising lack of swimming skills among sailors. In Wellington’s blustery conditions where gear breakage and capsizes were a regular occurrence, the practice is a wise one. By 1895 the club had organised its fleet into two clear divisions: 14ft and 18ft. During this era boat length referred waterline length. 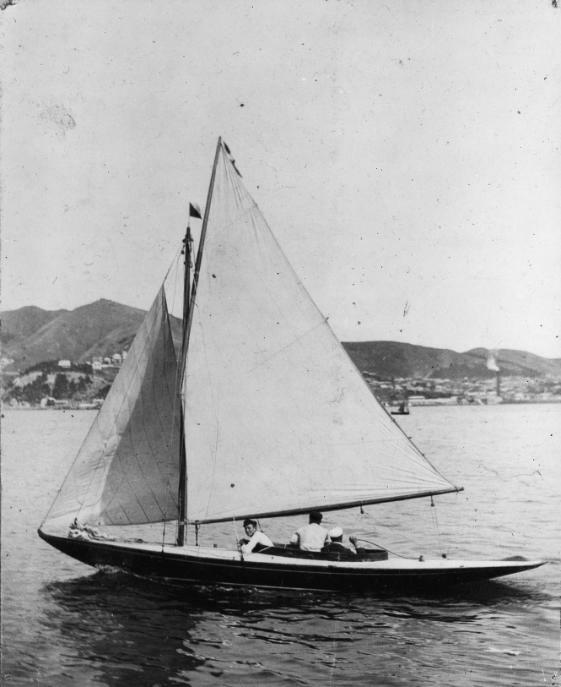 An exciting addition to the fleet was a half-rater named Dauntless, designed and built by the great personality and experimenter J. Chalmers. 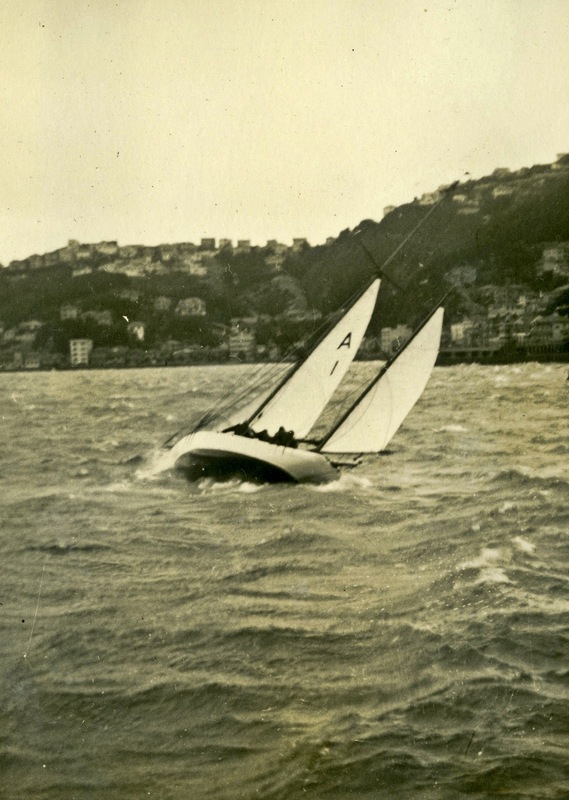 She had a retractable fin-bulb keel, the latest development in yacht racing, and was the first such to be built or raced in Wellington. 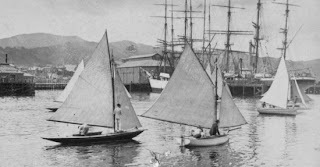 She raced with the 18 footers until the arrival of Miru (Turnbull) and Vixen (Wardrop), which both arrived just in time for the last race of the 1894/5 season, which Miru won. A veil was drawn over Vixen’s performance, and she was immediately withdrawn to the yard of Bringans and Hogg, where she was significantly altered in readiness for the 1895 season. 1/2 raters now had their own division in the club. By the end of the season, the club had approximately 60 members and 17 boats. Mr T. Y. Wardrop’s half-rater Vixen was launched yesterday morning from Messrs. Bringans and Hogg’s boatshed, Clyde Quay. She has been considerably altered since last season. The bulb fin has been deepened some 15 inches, and shifted aft; the mast has been shifted aft, and more head sail has been provided. She looks exceedingly smart in her new colours, white topsides with a gold streak and red bottom, and reflects great credit on Mr. J. Bringans, who has carried out the alterations and painting. A new half rater, Arawa, joined the fleet in 1896. She was not competitive though, and soon was racing with the weaker fleet of 18 footers. During these ealry years the club had gone from strength to strength. The 1897/8 season saw a complete change of guard in flag officers. One suspects there had been some disagreement within the club. Collins, Peteley and Watson were completely new names to the Club. Reportage of the AGM of October 1897 where these officers were elected lacked the self-congratulation of reporting an increase of members, fleet, etc. Rather, it was merely noted that the Timekeeper and starter of races had discretion as to whether a race should take place. Private racing between vessels in the club became popular this season. The first of these arranged was between Miru and Ruru. This led to professionals, or at least "ringers" racing the 1/2 raters. Skippers jumped from boat to boat, almost guaranteeing a prize for each vessel for a number of one-off trophy events. This practice was common among gentlemen sportsmen at the time, much the same as purchasing a share of a thoroughbred horse, and get the best trainers and jockeys as possible to race them. 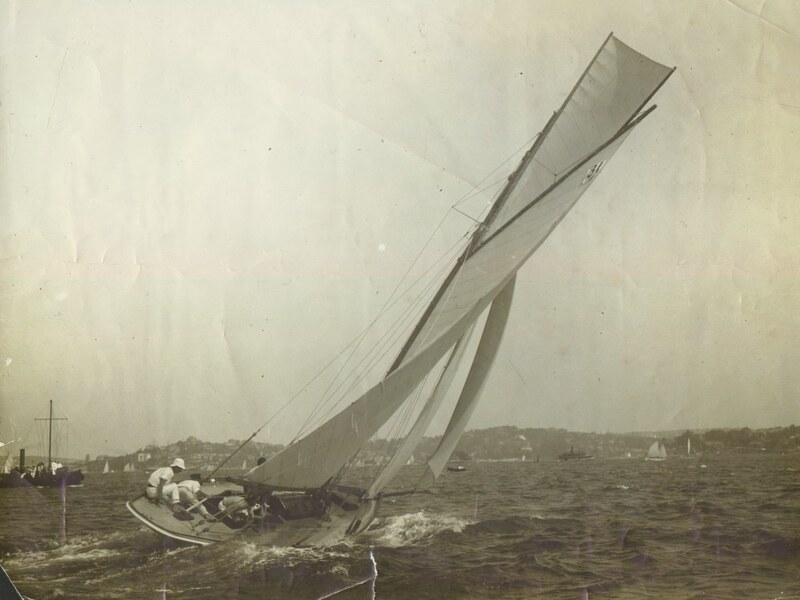 The 14 footer fleet remained strong, with talented amateurs like the Highets, Petherick, Moffat, Seager, Freyberg, and Moore. However the 18 footer division was suffering being dominated by Bringans’ Iona, and no new blood was coming in. This was pointed out by a columnist of the Evening Post of 30 Oct 1897, who called for a campaign to generate interest. He suggested a new design published in the Jan 1897 edition of The Yachtsman. The season did not begin until late November 1897, and the announcement from the sailing committee included an “anxious encouragement” to boat owners, undertaking to arrange a series for boats not measured for the 14, 18 or half rater classes. The opening day was a disappointment as far as sailing goes. A hard Nor’Wester blew, and only one race of six planned for the fleet (for the 14 footers) was gotten away. This incensed Chalmers, as the Dauntless a consistent winner in heavy weather. This was borne out in the coming season, marred by consistent strong winds, which saw the Dauntless win the Luxford trophy. Ruru only just won the overall season for the half raters over Dauntless – at great expense to her gear. The result came down to the final race, when Ruru secured the services and one of Wellington’s finest helmsmen, A. Beck. After seveal years of stress, Miru and Ruru were capaple at this time in sailing only in light breezes. This left the field to Dauntless, which only needed to sail the course and wait for the others to suffer gear failure to secure a victory. 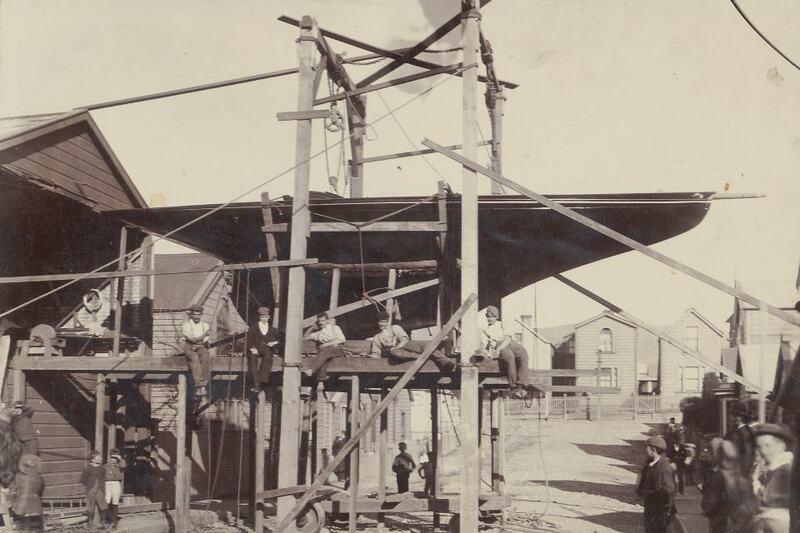 The 1898/9 season opened with more enthusiasm, the political and structural difficulties of a year previous had been largely overcome, and a real enthusiasm for the half raters and 18 footers was felt. Vixen, which had been out of commission the previous season was reintroduced to the fleet, J. Robertson’s yard at Clyde Quay was working on a new half rater to his own design (26 LOA, 17 LWL 6 Beam and 5 foot fin keel with bulb. Arawa, now owned by Seagar and Moffat, had had some serious rebuilding, and her lines completely altered, and expected to be a match for Dauntless in heavy weather. Dauntless herself was sporting a new mast to accommodate her new sail configuration, which greatly improved her performance. There was another unspecified rater built by Lindolph [Haere?? ]ready to race the season, and another under construction in Newtown. Among the 18 footers, Uira, Boomerang, Iona and Luna were all extensively overhauled, with a new build by J. Highet almost ready to join them before the end of the season. Even the 14 footer Mab, given up for dead the previous year, had been rebuilt. In March 1899 the club raced its first ladies race. 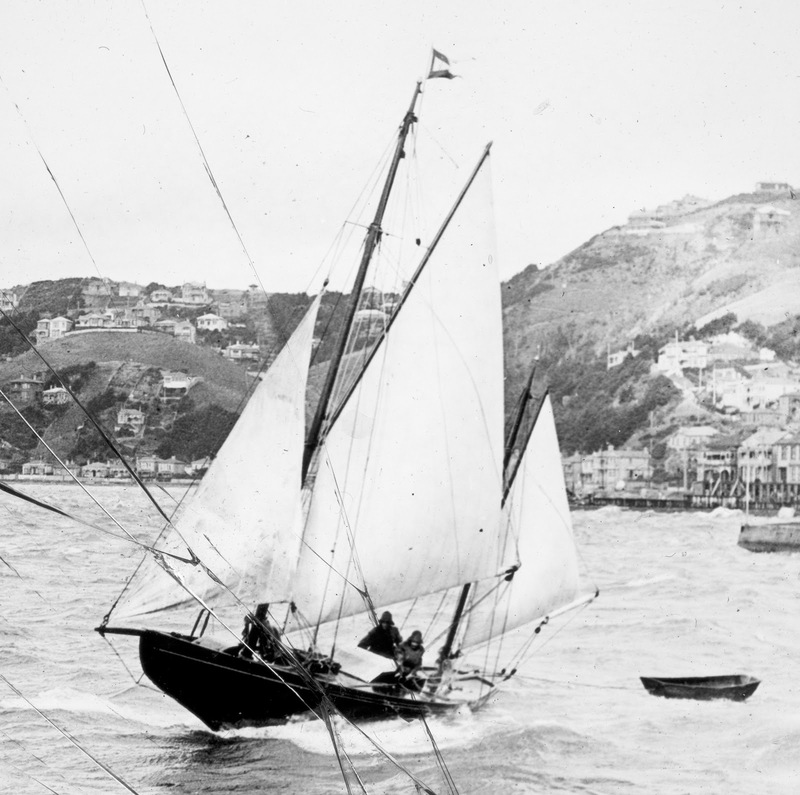 The club announced their intention to represent Wellington in the one rater championship to be held in Auckland that year, sending two boats if possible. The Columnist Neptune encouraged the club to support the new Mark Foy system. Named for the Australian who invented it, this system of staggered start times according to handicaps, so that participants and spectators know exactly where the boats place without having to wait for the handicappers' report. He also called for a one-design class. The challenge of a new class was taken up with the design done on the principles of the “Yankee Scow”. This was the extreme “Swallow” design published in Rudder Magazine November 1899, which took off in Christchurch as "Scows" and Napier as "Patikis". Wellington's typically choppy seas didn't lend themselves to the prototype and though several were built, the class wasn't a success. In an effort to retain long-term members of the club who had now moved on to larger yachts racing with the Port Nicholson Yacht Club, a new Cruising division was created. 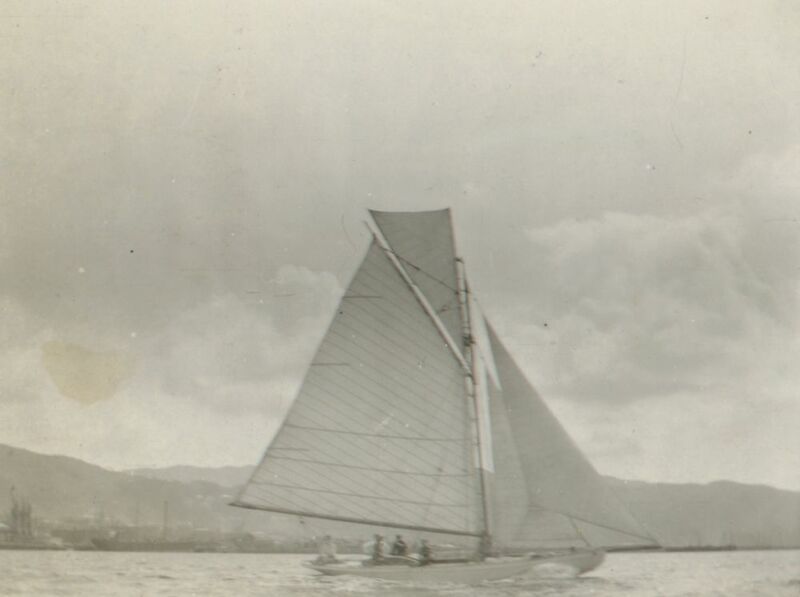 Cruising-racing at this time meant getting out on the water more often without risking damage to expensive gear. They were usually conducted weekday evenings and had limits like no spinnakers and no racing sails – much like rum racing today. Kotuku, Ripple, May, Mahaki, Greyhound, Mawhiti, Kotiri, Rona, Mapu, and Taipari were all regular participants and had to be split into two separate divisions. Membership topped 100, and the Governor General Ranfurly consented to become patron of the club. Opening day put on its usual bad weather, and only the Dummy rescue competion and half rater race was completed. Dauntless, suffereing a bent fin, and Arawa being the only half raters to complete the course. They continued to dominate the half raters through the season. The Highets began asserting their dominance in small boat sailing by winning both the 14 foot and 18 foot division pennants for the season. They had been doing well in the 14 foot class with Rewi for years, and the Maroro, their own design and build, was cleaning up the field in the 18 foot division. The season opened 18 November, slightly later than planned. 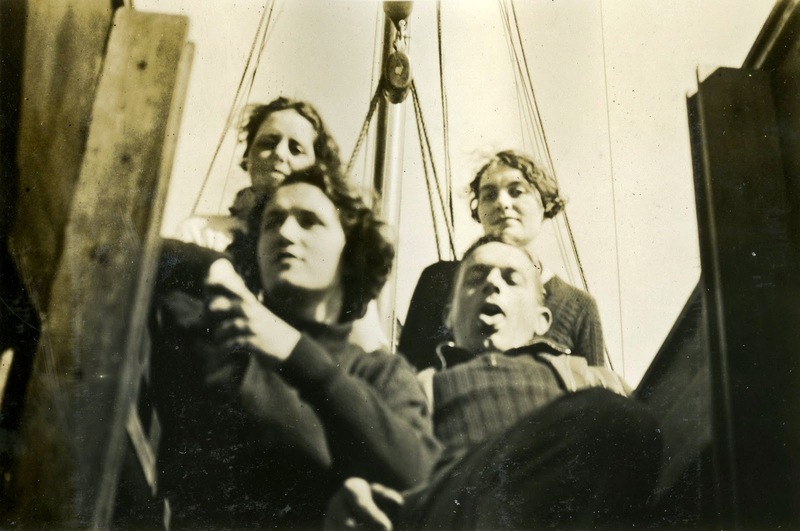 A photography competition was arranged for the event, as was a brass band and games of water polo and dingy tug-of-war (won by the crew of the Dauntless). The new Patikis were introduced. Crews were encouraged to get up in fancy dress, and ladies were in evidence on the larger yachts. Art Union raffles were introduced as fundraisers. The club continued to grow with 40 new members approved. This season characterized itself with fun and games. G. Highet received the prize at the end of the season for most wins of the season across the classes and events. The AGM of November brought attention to the lack of amenities of small vessels in Wellington harbour. What shelter there was being diminished by silt build up brought on by reclamation. 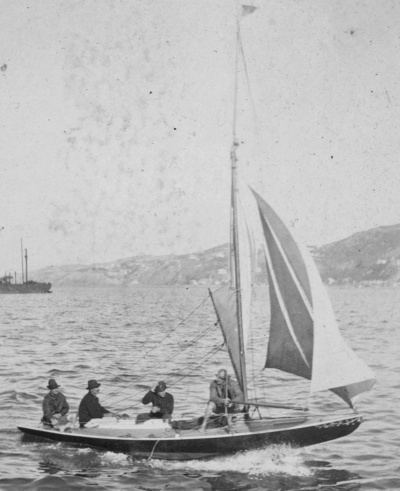 The years around the turn of the century were characterised by many vessels being driven from their swing mooring and fetching up wrecked on the Petone foreshore. This was the beginnings of a campaign for the harbour Board to provide dedicated facilities. It was also noted that although growth in membership and boat register was to be a satisfying development, most of these were older members and larger boats in the cruising division. The founding members were also getting older, having careers and families, and/or moving to larger vessels. New blood had to be attracted. Despite fine weather, Opening day was not well attended. R. C. Renners’ new boat Muritai (ex Rogue) was given the honour of the vanguard of the procession. 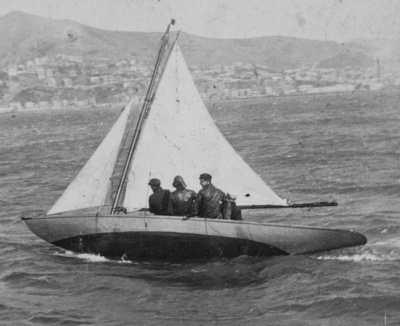 The traditional dummy rescue competition took place, as was the fleet handicap. The 18 footers race had to be cancelled due to lack of wind. The season was notable for a lack of racing for the 14 footers, usually the fleet for youngsters, and a strong one at that. Dauntless and Arawa again dominated the half raters, with only Riru coming close. Miru was notable in her absence. Only one new member was elected at the AGM in November 1901, and comment was made at the tardiness of members paying their membership subscriptions. It was also noted that members attending the meeting were mostly older men, owners of the Cruising division yachts, in contrast to the previous year when younger members predominated. 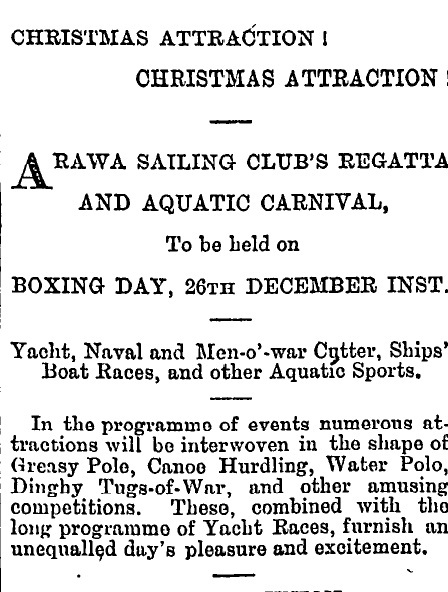 The sailing programme published 24 December lacked the lustre of previous years. Despite entries promised, few boats turned up to the starting line. At the AGM in November 1902, it was decided that the club suspend activities for the 1902/03 season, and no subscriptions be collected. Blame for the demise in interest was placed on the decline of facilities and lack of new ones for small boats. 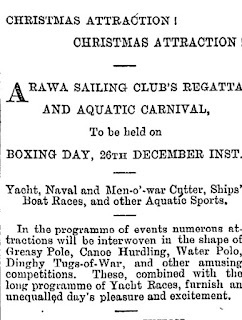 Participation in formal regattas continued under the Arawa Sailing Club flag through 1903, limited to the cruising division boats. The club never recovered, and the following several years saw a general decline in recreational yachting. The creation of the Clyde Quay marina, set aside solely for recreational vessels, a resurgence in interest and participation in all versions. New clubs for motor boats, centreboarders and keel yachts sprang up almost overnight. 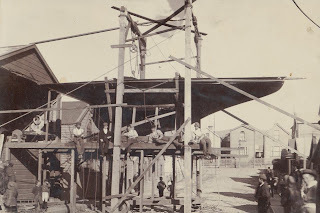 The greatest achievement of the Arawa Sailing Club was the development and opportunity it provided for children and teenagers to design, build and compete in their own boats. The Highets in particular, proved themselves as good or better than the professionals at times, and continued to dominate the sport until WWI. Harry Highet, the youngest of the boys, went on to design the "P" class - which remains the first step in the development classes in New Zealand. These tables are based on newspaper reports of the day, and may have some errors. (eg A. M. Silk and E. M. Silk may refer to the same person). 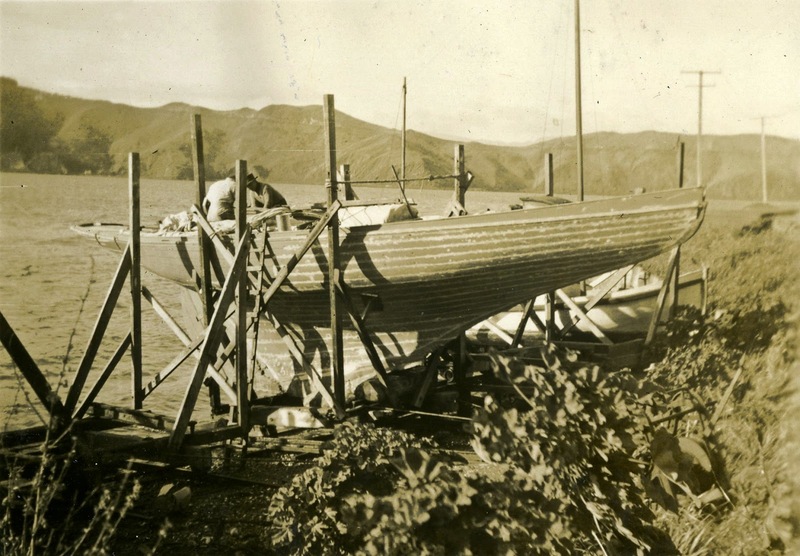 The lists of boats are not complete, merely which boats were reported as being new to the club each year,or listed as competitors. Kura [Curro?] Messrs. Penty and Beck, purchased early 1896 by Freyberg. Petherick and Ballinger sold Ripple to Messrs. Thompson Bros.